Used to increase energy (both mentally & physically), vitality and stamina, at the same time. It detoxifies the body of toxins, such as (chemicals, pollution, synthetics, and metals) trapped in the tissues of the body that hinder that hinder it of being able to heal itself. It is scientifically proven with the S.P.A. system your body can release up to 2 years of back toxins. The internal cleansing work made possible by the Ion includes parasite cleansing and liver detoxification. This results in less body fluid retention, reduced inflammation, improved memory, greater bladder control, a more balanced PH, a stronger immune system and significant pain relief, including headaches, gout, and arthritis. The human body is electric because the cells are electric. Diseases of the body have vibration frequencies that are compatible with healthy cells. This disruption creates unbalance and chaos within each affected cell. When cells are in an imbalanced state, they are unable to facilitate the body’s normal functions needed for healing. When cells are fully charged up and balanced they help the body regulate itself. Studies show that an overall balancing effect occurs. The negative ions produced by the ionic foot spa increases in the human body and helps balance the positive ions. Ions are atoms or molecules that have gained or lost electrons. If the atoms or molecules lose electrons they become positively charged ions. 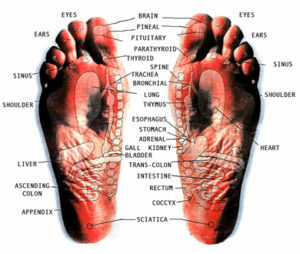 The ionic technique of cleansing through the feet provides a full body purge of all vital organs. The internal cleansing also results in faster disease healing recovery. Mild symptoms of toxins in our bodies: Headaches, obesity, constipation, bad breath, digestive disorders, allergies, and fatigue. Severe cases of toxins in our bodies: High blood pressure, arthritis, diabetes, heart problems, kidney failure, liver failure, and even cancer. As a part of our usual body functionality we naturally detoxify every day. Eliminating toxins and waste via our kidneys, colon, liver, lymph glands, lungs, and skin. Toxins can be found in our everyday environment; tobacco, alcohol, food additives, drugs, pesticides, heavy metals, and industrial pollutants. We live in a toxic world. We need our body to function optimally and rid our system of these toxins as they are harmful waste products which attack our immune systems. The theory is now in existence to suggest that detoxification may at some point be an alternative to the prevention of immune deficiency diseases.